The complementary competences of the research groups involved allow them to approach the scientific topics described below taking advantage of different experimental procedures encompassing a wide range of cellular, biomolecular (including next generation sequencing), cytogenetic (including the analysis of single chromatin molecules) and bioinformatic methodologies. The research projects are focused on the molecular mechanisms involved in the maintenance of the integrity of the mammalian genome which play a central role in carcinogenesis and in evolution. The main structures needed for the maintenance of functional and structural chromosome integrity are centromeres and telomeres. Centromeres are essential for the separation of chromosomes during cell division. They are enigmatic structures since, contrary to other genetic loci, the function of centromeres is not determined by the underlying DNA sequence, but depends on epigenetic factors. In particular, centromeric chromatin is peculiar for the presence of a modified H3 histone, CENP-A, and of a number of proteins forming a complex named CCAN (Constitutive Centromere Associated Network). Moreover, centrochromatin is characterised by histone modifications whose role in centromere function is still debated. Mammalian centromeres are typically associated to highly repetitive DNA (satellite DNA); this pattern of organisation hampered a detailed molecular analysis of centromeric chromatin. Our research group demonstrated, for the first time, the existence in nature of satellite-free centromeres which are stable and fully functional (Wade et al Science 2009). These centromeres are present in a number of chromosomes in the genus Equus (horses, donkeys, zebras), they represent a unique model system for the study of the epigenetic control of centromere function and of its role in karyotype evolution (Piras et al PLoS Genetics 2010; Purgato et al Chromosoma 2015). It is well known that alterations in chromosome segregation are responsible for the occurrence of numerical chromosomal abnormalities observed in the large majority of tumours. The equid model system offers the opportunity to investigate the mechanisms involved in the numerical chromosome instability associated to the development and progression of many different types of cancer. The absence of repetitive DNA at the centromere of a number of equid centromeres makes it possible to study the architectural organisation of centrochromatin and, in particular, the role of DNA methylation, transcription and histone modifications. Collaborations: Kevin Sullivan (University of Galway, Ireland), Aurora Ruiz-Herrera (Universitat Autonoma de Barcelona, Spain), Giulio Pavesi (Università di Milano), Mariano Rocchi (Università di Bari), Doug Antczak (Cornell University, Ithaca New York), The Horse Genome Project, The Horse FAANG Project. Telomeres are nucleoproteic structures located at the termini of linear chromosomes. In mammals, telomeric DNA, consisting of the tandem repetition of the hexasanucleotide TTAGGG, is bound to a multiproteic complex named shelterin. 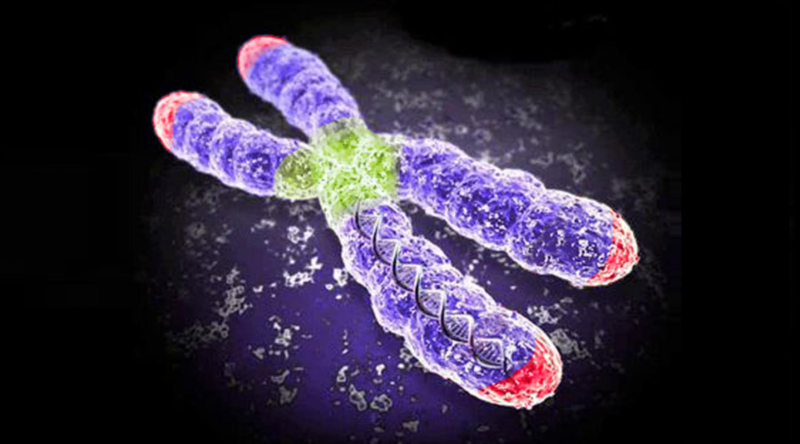 Telomeres protect chromosome ends from degradation and from fusion with other telomeres. Telomere malfunctioning causes chromosome rearrangements that can lead to tumorigenesis. Too short telomeres cannot be distinguished from accidental DNA breaks and cause genomic instability. Our group contributed to the demonstration that the telomeres are transcribed in non-coding RNA molecules named TElomeric Repeat-containing RNA (TERRA) (Azzalin et al. Science 2007). We also demonstrated that telomere transcription is strictly regulated (Nergadze et al. RNA 2009) and is probably involved in the maintenance of telomere integrity. It has been demonstrated that telomeric RNA transcription deregulation is deleterious for telomere metabolism and causes genome instability. Therefore, defects in the regulation of telomeric RNA expression may contribute to carcinogenesis and tumour progression. We intend to study the transcriptional state of the telomeres in normal and cancer cells. The analysis of telomeric RNA expression in tissue samples obtained from patients suffering from different forms of cancer will allow us to study the link among the deregulation of telomeric RNA transcription, carcinogenesis and cancer progression. Interstitial telomeres consist of repetitions of telomeric sequences located in internal chromosome sites. Our previous work demonstrated that, in mammals, interstitial telomeres have been inserted, in the course of evolution, during telomerase mediated repair of double strand breaks or by the capture of double stranded telomeric DNA molecules (Nergadze et al Genome Res. 2004; Nergadze et al Genome Biol. 2007). We have recently demonstrated that some interstitial telomeres play a role in the regulation of gene expression. Our next goal is to analyse the evolution and the function of interstitial telomeres combining molecular, cytogenetic and bioinformantic approaches. Ionizing radiations cause severe damages to the DNA double helix, due to the formation of free radicals and to oxidative stress. Telomeres are particularly susceptible to the damages induced by ionising radiations causing an acceleration of their shortening. We intend to identify the factors involved in telomere metabolism focusing our attention on modifications of the regulation of transcription following the exposure to ionizing radiations. The production of human recombinant proteins is particularly relevant in various applied fields (drug production, diagnosis) as well as in basic research (biochemical and structural studies). Recombinant proteins can be produced in prokaryotic or eukaryotic expression systems. Prokaryotic expression systems are commonly used for large scale production of some proteic drugs such as insulin. Other molecules, for example erythropoietin, need post-translational modifications that can correctly occur only in mammalian cells. We developed a vector-host cell system which allows a high production efficiency compared to the mammalian cell systems traditionally employed. With this system we can get hundreds of copies of exogenous genes in human cell lines resulting in overexpression of the encoded protein. The system allows to increase the production efficiency compared to conventional systems thereby decreasing the production costs. The adoption of a production system in human cells opens new prospects for improving the therapeutic efficacy of the protein drugs for human use also reducing side effects. Projects for the construction of human cell lines productive of specific proteins of pharmacological and diagnostic interest are ongoing.